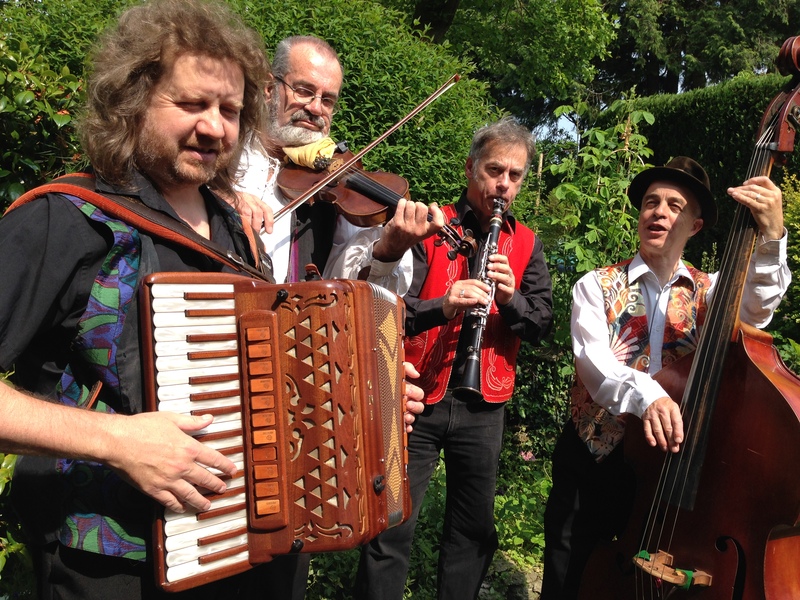 Why not book an exuberant, exciting performance from the talented musicians that form The Bristol Klezmer Band. 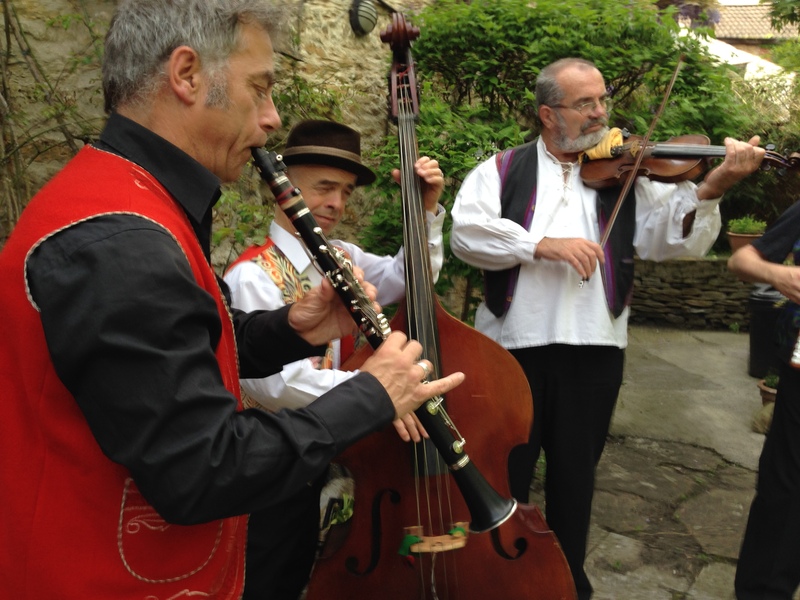 These guys will present an enticing selection of traditional Balkan folk-tunes, and can readily provide anything from a trio of strolling gypsy musicians for a drinks reception to a dynamic six-piece fronted by soaring saxophone/clarinet, violin and trombone for dancing later on in the evening festivities. Fronted by the riveting sounds of saxophone/clarinet, violin and trombone and solidly underpinned by punchy accordion, double-bass and percussion, The Bristol Klezmer Band presents a toe-tapping extravaganza of exotic tunes and complex rhythms principally derived from the polyglot Balkan musical tradition. The energy is vibrant, pulsating, uplifting and instantly infectious – get ready to let your hair down and go dancing in the street! Performing acoustically, the band can even play outdoors – providing the sun decides to show up! A compact accordion/fiddle duo or a trio comprising accordion, violin and clarinet or guitar will add a joyful, carefree gypsy spirit to your garden party. 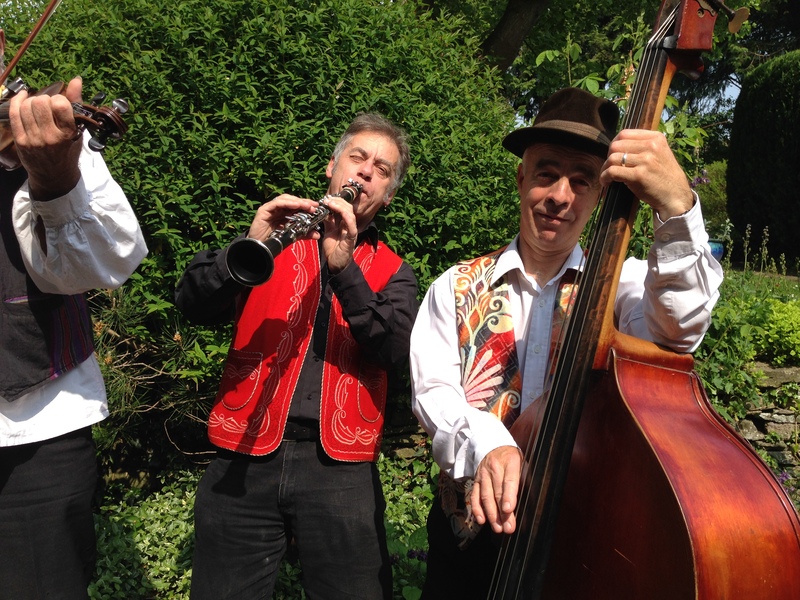 Whether playing low-key atmospheric background music for a drinks reception or their full-on, high-energy late evening dance set, the irresistible joy of klezmer will pervade every performance, through and through. 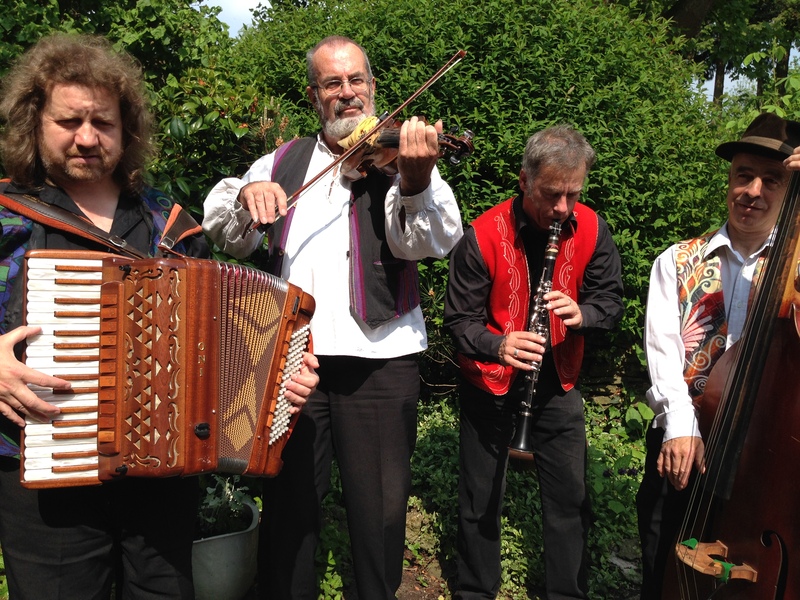 The Bristol Klezmer Band presents exhilarating Eastern European gypsy music to generate an electric party atmosphere and fill the dancefloor. The accordion and fiddle duo played klezmer tunes with joy and precision and greatly added to the spirit of the occasion. All our friends commented on the quality of the music. Thanks for making our wedding day so special. A big thank you to Mike and the other two band members of the Bristol Klezmer band for a fabulous night. This was on the occasion of our Ruby Wedding Anniversary held at Birmingham Progressive Synagogue on Saturday, 16th July 2016. Everybody was very impressed with the quality of the music and you helped to make a memorable evening even more memorable. We would have no hesitation in recommending you. 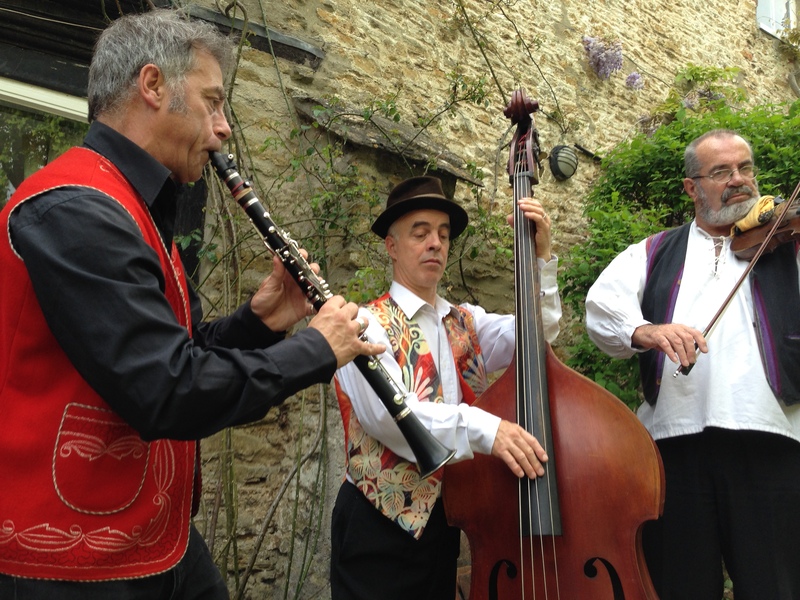 The Bristol Klezmer Band were perfect for our garden summer party, they played background music whilst everyone was eating and promenaded around the guests to make sure everyone got to hear them! The music was wonderful and we had so many compliments, so thanks guys! A massive thank you to you all for playing at our wedding last month, we had an amazing time and you made it all stress-free! You kept everyone dancing from start until finish and I must be the only bride ever to not leave the dance-floor all night! Passing on a message from my friend Darcey whilst they’re on their honeymoon! You were amazing! Couldn’t have asked for better music, everyone enjoyed themselves thoroughly, will definitely recommend to all!